Thank you to everyone over at Article Magazine for sending this exclusive look at the Newsstand Edition Cover of Issue Six. The “Newsstand Edition” of Issue Six will be available at Article Magazine’s UK stockists from this weekend, and will land at their international stockists in the next 2 weeks. Also, The “Collector’s Edition” is near completion too, and will be shipped in 2 weeks time for those who have pre-ordered their copies here at their online shop. To collect both, make sure you have pre-ordered your copy of the collector’s edition and grab your copy of the Newsstand Edition this weekend (for the UK) or in two weeks (International). 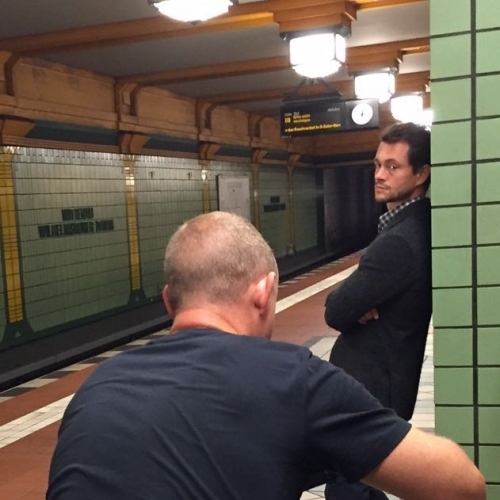 Hugh is featured in issue six of Article Magazine. It includes 16 full pages of photos and an interview that they did with him. You can pre-order it now on their site. More information is included below. If you have any additional questions they have a twitter account that you can follow here. REALLY excited about this magazine! In our previous issue, we explored how British individuality has evolved from its island identity; this time round, by contrast, we look at the things that bring us together. From the mass euphoria of Nineties clubland to the overwhelming horror of the First World War to London street life, these are the places and moments in time that have come to define Britishness in all its forms. We unravel the unlikely delights of the nation’s cuisine, and investigate the long history of our national passion for the exotic. We travel the length and breadth of the country, talking to the team behind Richard James about their sartorial journey from Savile Row to the Andes, and to Lou Dalton about her Shropshire childhood; to legendary Covent Garden retailer Zeev Aram about Eileen Gray’s renaissance, and to Mayfair shoemaker G.J. Cleverly & Sons about preserving their craft in the twenty-first century. We go far beyond Britain’s borders too, from Berlin (to speak to Hugh Dancy, star of American primetime series Hannibal) to outer space, with kirigami artist Marc Hagan-Guirey’s extraordinary homage to Star Wars. And the latest instalment of our Circular Project features the stunning monochrome images of Lucy McLauchlan. 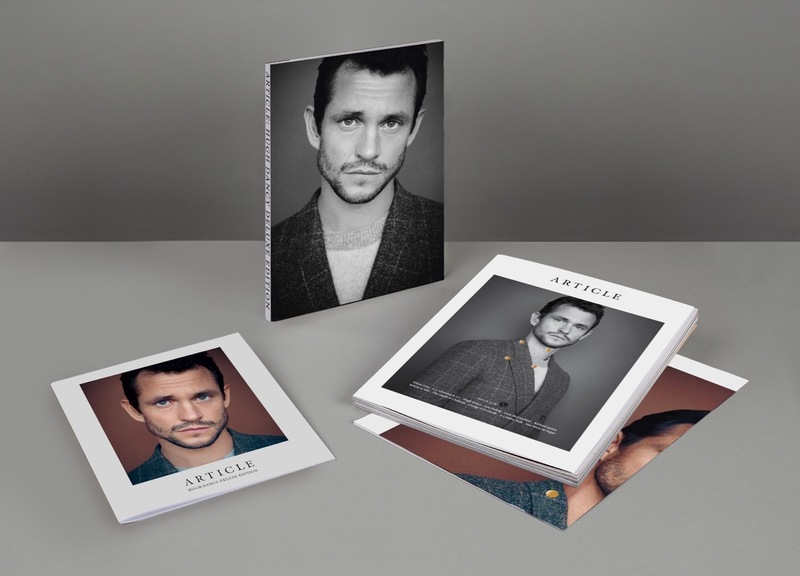 The limited ‘Collector’s Edition’ version of ARTICLE is available as direct order only, and comes complete with a range of additional materials and exclusive content. This Collector’s Edition will include a special double-sided poster featuring the work of kirigami artist Marc Hagan-Guirey, from his latest Star Wars series. If you pre-order before 30th September, you will also be able to have your name – or another name of your choosing – printed inside the special sleeve case of Issue Six. The special price for this edition is £9.00 GBP (instead of the usual retail price of £11.00). Order now, and you will receive this Collector’s Edition delivered straight to your door in early November. 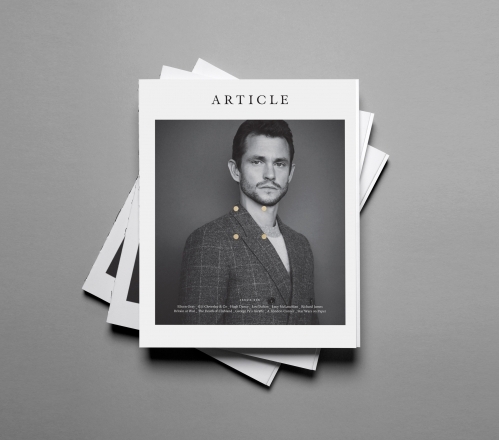 ARTICLE is the perfect gift – whether for yourself, or for anyone who appreciates beautiful design and individual content. Soon, the “fannibals” of Bryan Fuller’s NBC drama will be able to dress like, smell like and even decorate like Thomas Harris’ famed serial killer. There’s no denying that NBC’s Hannibal, which starts its second season later this week, is a stylish and compelling show that pushes at viewers’ morality and blurs the line between good and evil — but is it also a show that does the same for their personal aesthetic? Gaumont International Television and NBCUniversal today announced that licensing and global brand management firm Evolution has been appointed as the international licensing agency for the NBC drama, with plans to launch a wide range of merchandise for the show — including clothing, accessories, fragrances and even home furnishings and decor — throughout North America and Europe. Hannibal’s second season starts at 10 p.m. ET/PT this Friday on NBC.